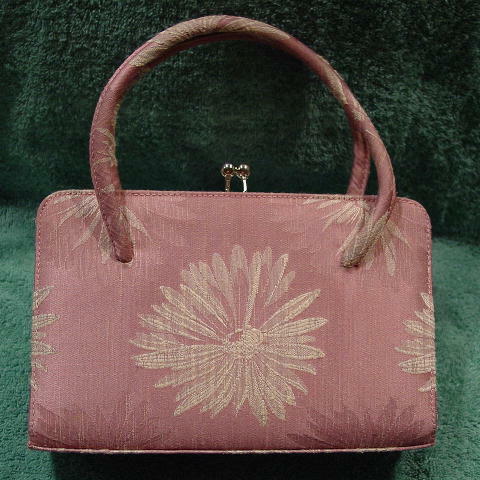 This fabric INC handbag can be worn day to evening. There are two padded fabric matching 14 3/4" long handles. It's 62% rayon, 20% cotton, and 18% polyester. 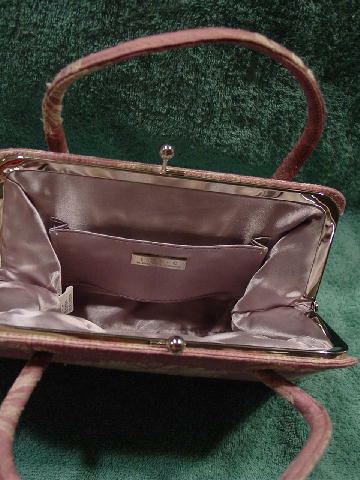 There is a shiny silver-gray lining with an interior open side pocket with a silver-tone metal I.N.C. tag. The outer fabric has a tone-on-tone textured pattern with flowers. The background is in a pink-lavender color. There are flowers in pink-lavender and white. It has a silver-tone rim and bypass closure. 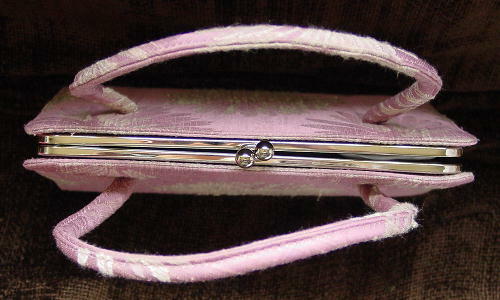 One side of the purse, top and side, does not close tightly by the silver-tone rim. It was used in a magazine photo shoot with a white INC button-down shirt tied at the waist, a silver rectangle link Saks Fifth Avenue belt, a Bebe gray leather miniskirt, and the Paloma leather snake print ankle tie sandals.